How many times have you heard the question – Are you allergic to any medications? Our immune system is a network of cells, tissues, and organs that works to fight against bacteria and viruses that may pose a threat to your health. Sometimes, our immune system will fight against substances that might not affect our human body. These substances are referred as Allergens, known as any substance capable of inducing an allergy that may come in contact with your skin, or may be inhaled or eaten. Some of the symptoms produced by mild allergic reactions might include: itchiness (body/eyes), nasal congestion and rashes. Severe allergic reactions might result in nausea or vomiting, swelling of face, eyes or tongue, diarrhea, abdominal pain, or trouble breathing. What’s good is that a doctor can determine the cause and treatment of your allergic reactions. 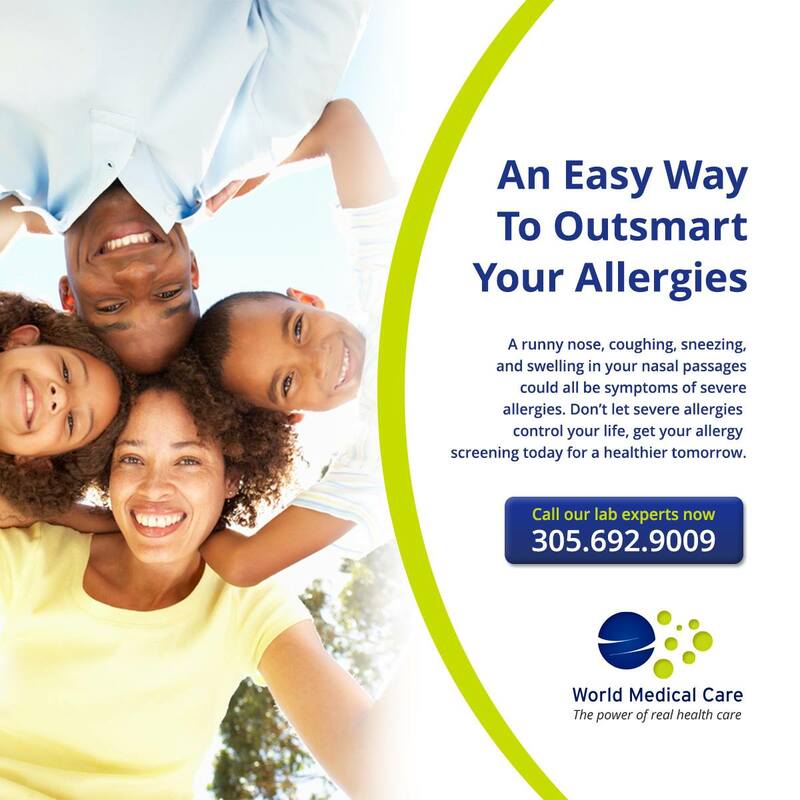 GET YOUR ALLERGY TEST DONE TODAY AT WORLD MEDICAL CARE LAB TEST! Make your appointment today, call (305) 692-9009. Or visit 1380 NE Miami Gardens Drive Suite 210, North Miami Beach, FL 33179. If you would like to learn more about World Medical Care visit our Facebook page and become a fan!